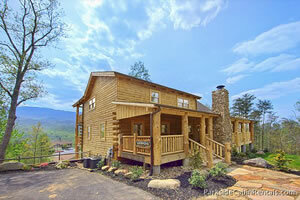 Description - Parkside Cabin Rentals features Gatlinburg cabins in the Smoky Mountains. We have a variety of log cabins and chalets in locations near both Gatlinburg and the Great Smoky Mountains National Park. If you're planning an exciting family weekend at Dollywood with shopping at outlet malls and hiking some of the wonderful trails in the Great Smoky Mountains National Park, why not consider the convenience of our Gatlinburg cabins to enhance the experience? Perhaps you're looking for the perfect getaway with someone special. What could be more romantic than being tucked away from the hustle and bustle of the rest of the world in one of our Smoky Mountain cabins on a secluded mountain stream? Why not break away from the vacation routine this year? 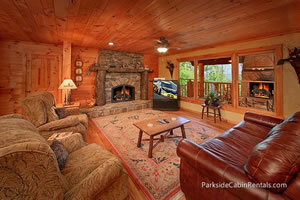 Parkside's Gatlinburg Cabin Rentals offers a variety of amenities you just don't find in a hotel: private hot tubs, pool tables, fireplaces, Jacuzzi tubs, outdoor fireplaces, grills and private mountain streams. Call our toll free number (866) 808-7525 and let our vacation planners help you choose one of the Gatlinburg cabins or Smoky Mountain cabins with all the amenities that fit your needs. There is a level of quality and pride in all of our cabins that you won't easily find elsewhere. All of our cabins are owned by a longtime Gatlinburg family with a rich tradition of providing a wonderful vacation experience to all their guests. 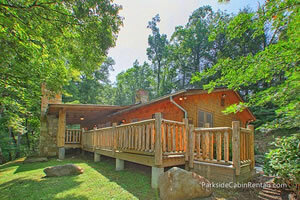 If you’re planning a vacation to the Great Smoky Mountains, Gatlinburg, or Pigeon Forge, Parkside Cabin Rentals can take the hassle out of your planning, and save you money with our special offers. With our wide selection of cabins, you can choose from honeymoon cabins with fireplace and hot tub to large mountain lodges with outdoor fireplaces, pavilions, and private mountain streams. 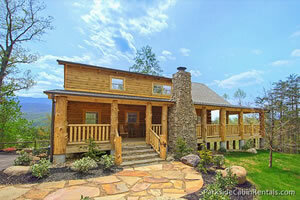 We have the cabin your looking for.